European shares rebounded yesterday after two days of heavy selling as investors’ anxieties over contagion from a Turkish currency crisis faded slightly, thanks to reassurances from the central bank and government. 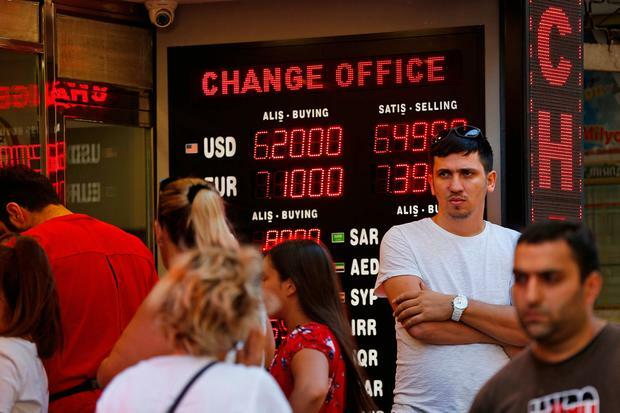 The Turkish lira firmed after the central bank had pledged on Monday to provide liquidity in response to the meltdown which has unsettled global markets. Investors were also comforted by news that finance minister Berat Albayrak would hold a conference call with investors from the United States, Europe and the Middle East tomorrow, his first since assuming the post almost two months ago. But President Tayyip Erdogan said Turkey would boycott electronic products from the US, retaliating in a row with Washington. Financials were the biggest driver, with eurozone bank stocks rising. But despite gaining earlier, the pan-European Stoxx 600 benchmark was flat at the close. Banks had been the worst hit by concerns over Turkey, taking the index to a 21-month low. In Ireland, the Iseq Overall Index was among the European indices that closed higher. It edged up 0.12pc to 6,694.66. Dublin-listed shares in embattled food group Aryzta jumped 18.6pc to €8.48 a day after it told investors it plans to raise €800m in an equity placing. Shares in insurer FBD gained 3.3pc to €10.85 after CEO Fiona Muldoon was cleared following an enquiry related to an internal complaint. Decliners included AIB, whose shares fell 1.1pc to €4.94 after Davy Stockbrokers downgraded them to ‘neutral’. Bank of Ireland fell 1.6pc to €7.36. The UK’s FTSE-100 was 0.4pc lower. Germany’s DAX was unchanged.